Cliff Richard, first with The Drifters and then backed by The Shadows, dominated the British music scene in the late 1950s and early 60s with memorable hits such as Move It, Living Doll and Summer Holiday. He was the UK’s answer to Elvis, and led a group of artists that included the likes of Tommy Steele and Marty Wilde as they took the nation by storm with their new and exciting rock ’n’ roll sensation. But, while the popularity of others would be replaced by Beatlemania, Cliff was only just getting started. As time’s moved on he's adapted his style to softer rock and middle-of-the-road pop, and an increased focus on his faith has even seen him venture into contemporary Christian music. 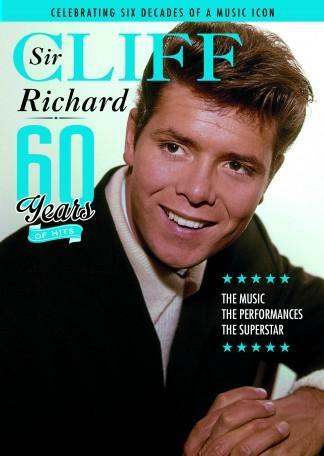 In an unrivalled career that has now spanned six decades, Cliff has enjoyed unprecedented chart success, came agonisingly close to a Eurovision Song Contest win and has cemented himself as one of the best-selling British performers of all time. This special picture-packed edition explores his 60 years at the top, and celebrates the life and times of a true music legend. Be the first person to tell us what you think about SIR CLIFF RICHARD and you'll save £2.50 on your next purchase!